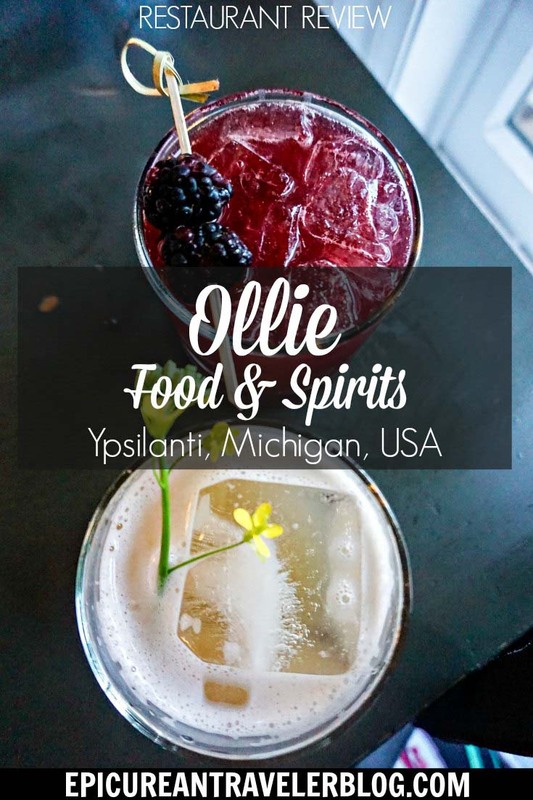 With a commitment to sourcing high-quality and local ingredients and its seasonal menu of mouthwatering New American cuisine, there is quite a bit to love at Ollie Food + Spirits in Ypsilanti, Michigan. 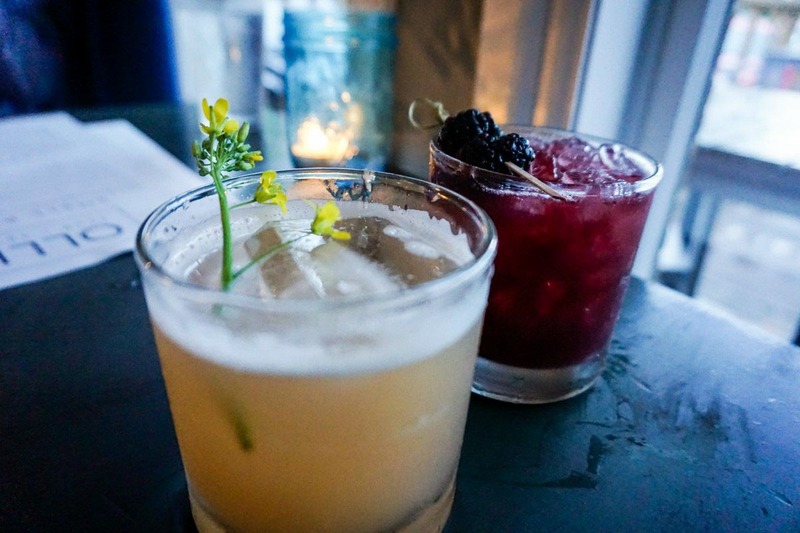 But, it was the craft cocktails that had this foodie traveler swooning. Yes, those cocktails certainly had me falling head over heels while visiting nearby Ann Arbor, a bonafide food-lover’s destination. Seriously, you’ll see what I mean in my Ann Arbor weekend getaway guide for foodies and art lovers. However, if my meal at Ollie Food + Spirits is any indication, Ypsilanti is carving out a name for itself in the culinary realm, too. 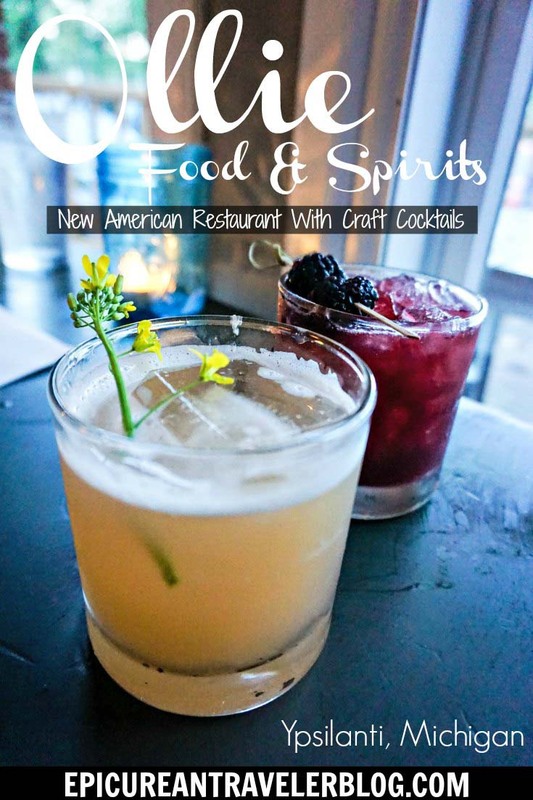 After dining at Ollie Food + Spirits, I’m thrilled to share this restaurant review with you. In full disclosure, my meal was hosted as part of a year-long partnership with Destination Ann Arbor and the women’s travel network Wanderful. Over the next year, I’ll be bringing you fresh and exciting content about where to eat, drink, and explore in Ann Arbor and its surrounding communities in Washtenaw County, and you can click here to read those posts. Also, if you are interested in learning more about where to eat, things to do, and lodging in Ypsilanti, Ypsi Real is a great resource. 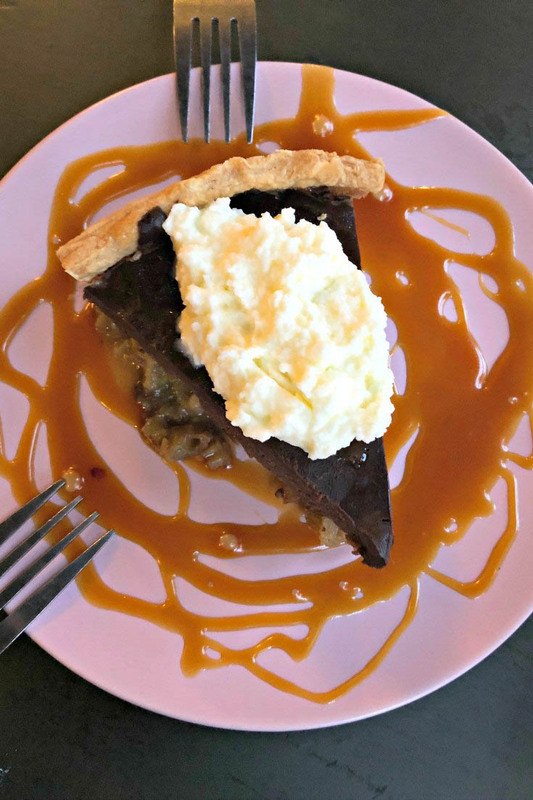 Started in December 2010 as Cafe Ollie by Danielle and Mark Teachout, this Depot Town eatery became a beloved local spot. Fast-forward to 2017, and the restaurant relaunched as Ollie Food + Spirits with a focus on fresh, local, and seasonal food showcasing the “bounty of the Eastern Heartlands” and inventive craft cocktails. 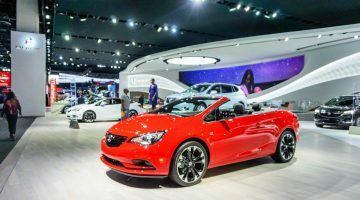 The menu features high-quality meats and cheeses, but vegan dishes make up about a third to half of the seasonal menu. With gluten-free options available too, it seems Ollie Food + Spirits has a little something for everyone. To begin our delicious meal, my dinner companion and I ordered two of Ollie Food + Spirits’ specialty cocktails. When the Mind On My Money arrived at our table, I totally had order envy. This tasty cocktail was a magical mix of Michigan-made gin with flavors of fresh grapefruit and honey. Don’t worry, I stopped feeling jealous after I tasted my own drink. The Postcard From Affair was a fabulous, fruity, vodka-based cocktail. With fresh muddled blackberries, this well-balanced beverage was also made with lemon, ginger, Bolivar Bitters, lemongrass, and wine-based aperitif Byrrh Grand QuinQuina. I’d happily drink either or both cocktails again. Anyone free for a boozy brunch this weekend? Seated at the back of the restaurant, we sipped our cocktails as we mulled over the small plate options. Ultimately, we decided upon the tender hand-formed lamb meatballs. 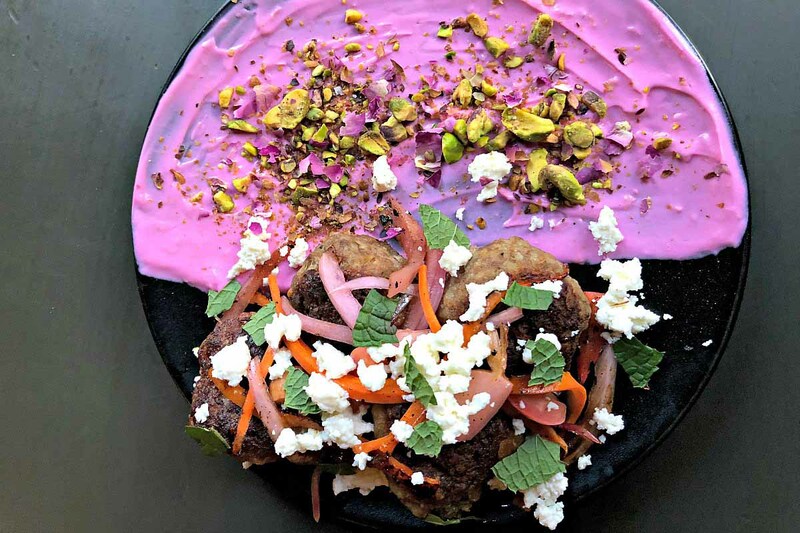 They were served with rose-scented yogurt and feta cheese from nearby Chelsea-based Fluffy Bottom Farms, spiced pistachios, and grilled spring pickles. So yummy! Moving onto entrees, my dining partner enjoyed Helen’s Chicken. This roasted chicken was rubbed in spring herbs. Served on the side was a small salad of greens, radishes, and Fluffy Bottom Farms feta in a paprika vinaigrette. To add to a delicious plate was a hazelnut biscuit with butter and honey. I’m always a fan of risotto. Naturally, I couldn’t pass up a chance to try Ollie Food + Spirits’ mushroom + asparagus risotto. It was full of herbs, roasted Detroit Mushroom Company mushrooms, grilled asparagus, fried shallot, and spiced pistachios. 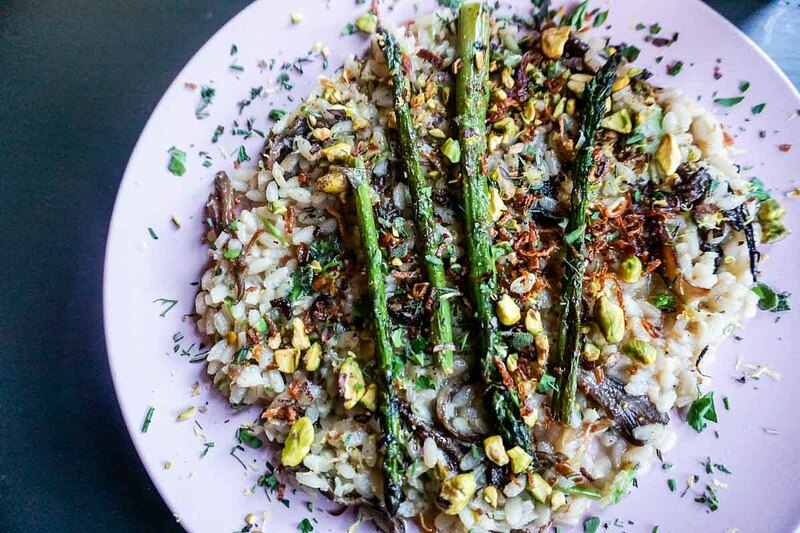 Both vegan and gluten free, this spring risotto seemed light and fresh. Overall, I was very pleased with my dinner. We had to end our tasty dinner on a sweet note, so we tried the dessert of the day. It was a unique blend of flavors combining rhubarb, caramel, and chocolate. 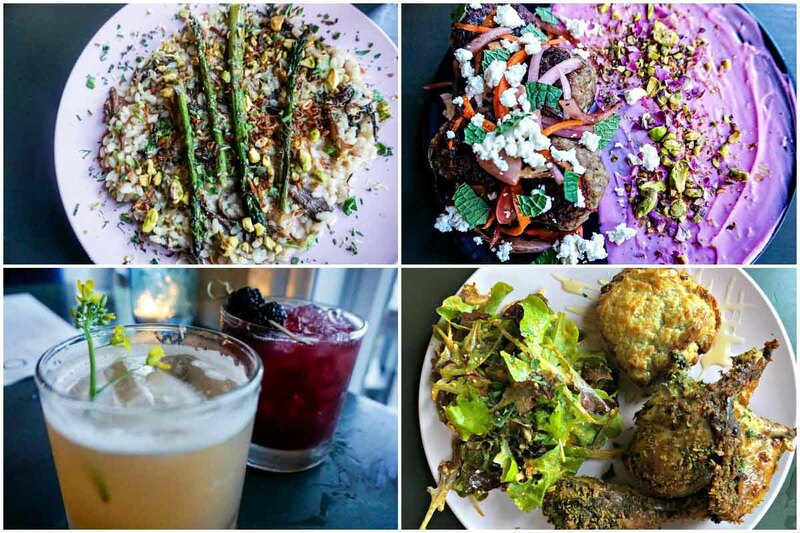 From start to finish, I was impressed with the balanced flavors, fresh ingredients, and imagination showcased in these dishes and cocktails. Now, that I’ve dined here for dinner, I’m even more interested in trying Ollie Food + Spirits for brunch! This section contains some affiliate partner links. When you click on one of these links and reserve a hotel room, I may earn a small commission. This helps to sustain this blog, and I thank you for your continued support. Hours: Closed Mondays | Tuesday – Thursday: 11 a.m. – 11 p.m. | Friday: 11 a.m. – Midnight | Saturday: 8 a.m. – Midnight | Sunday: 8 a.m. – 3 p.m.
Where To Stay Nearby: The Graduate Ann Arbor in downtown Ann Arbor | Check availability | Book your room now! 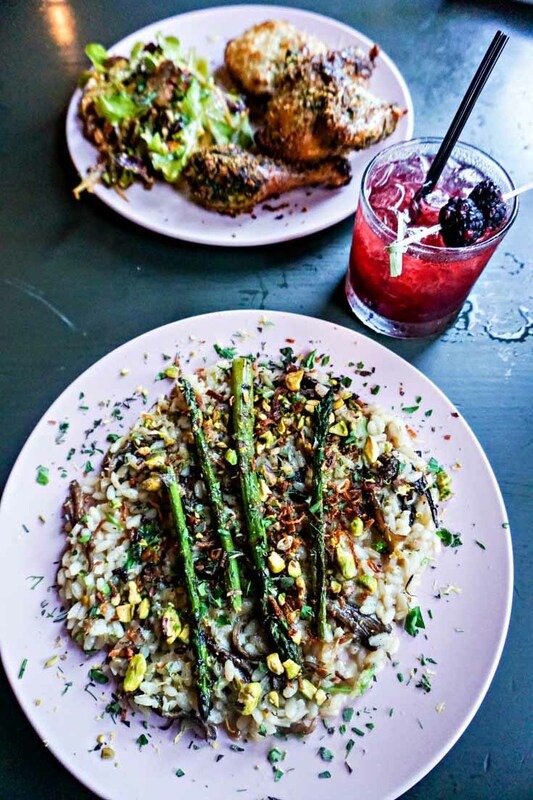 Save this restaurant review to Pinterest for making future dinner plans! I’d love for you to follow along on Instagram, Twitter, and Facebook with #ErinInAnnArbor or #ErinInA2 as I visit Ann Arbor again this fall. During that visit, I’ll be going live on Wanderful’s Facebook page to show you a bit of Ann Arbor, so stay tuned for more details on that! 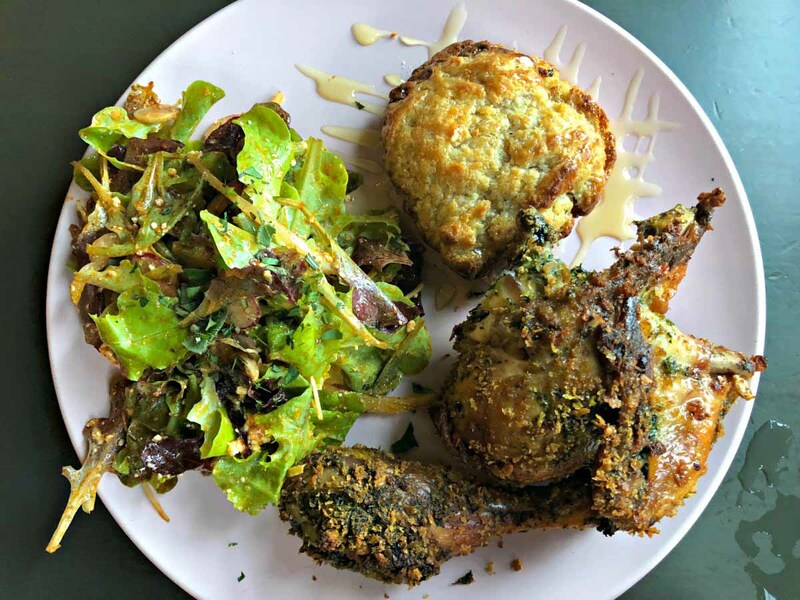 As someone who appreciates farm-to-table dining like I experienced at Ollie Food + Spirits, I’d love to know where you’ve had delicious restaurant meals made with local ingredients. Tell me about your experience in a comment below! Where have you eaten a delicious farm-to-table meal? The colors are so bright on these dishes! 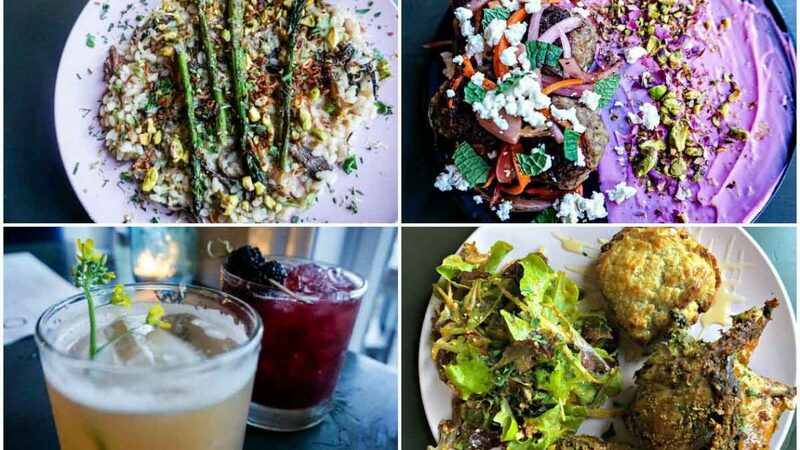 Vegan and gluten free options are interesting me more and more even though I am a meat eater, these items look delicious though and I’d love to try out this restaurant. The food looks so colorful! I love restaurants like this that use local food. I have not been to Ann Arbor but when I go, I will check out Ollie’s. Your pictures made me hungry! Looks like a great place to eat and great fantastic drinks. Good choice ordering ‘Helen’s Chicken’! It sounds amazing with the spring herbs. And the hazelnut biscuit with butter and honey would be almost as good as dessert… Except your dessert looked delicious too! I love rhubarb. First off I have to say I love your blog design, really nice work! Second, this play looks amazing. I’m most intrigued by the rose yogurt served with meatballs. Sounds like a truly unique combination! The lamb meatballs and dessert look amazing! I was salivating just reading about it! That meal looks amazing. I want to eat it all right now. Those lamb meatballs… I’m also loving the whole craft cocktails movement. I definitely need more drinks with blackberries in my life. Looks delicious! And the cocktails are especially interesting – I think I’d like anything with muddled blackberries. That risotto looks fabulous! The cocktails don’t look bad, either. 🙂 I’m thinking Michigan needs to be in our travel plans next year. If nothing else, maybe we can take you up on that booze brunch! Looking forward to more #ErinInAnnArbor!